Winter is here but there’s still time for plenty of fun with the kids! As long as you make it easy, you can fit in the fun even as life gets back to the post-holiday routine. 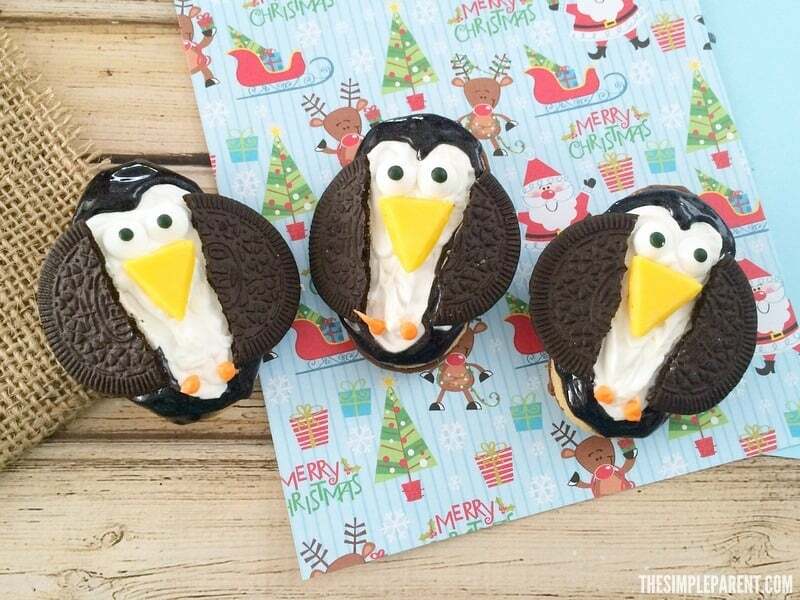 We love no bake cookies and our easy no back oreo cookie penguins are a favorite every year! No bake cookies are one of my secret weapons when it comes to being mom! They’re so easy and everyone in the family can join in on the fun! For this one we did use some melted candy melts so younger kids might need some help with the warm melted candy. But otherwise it’s really fun for all ages. 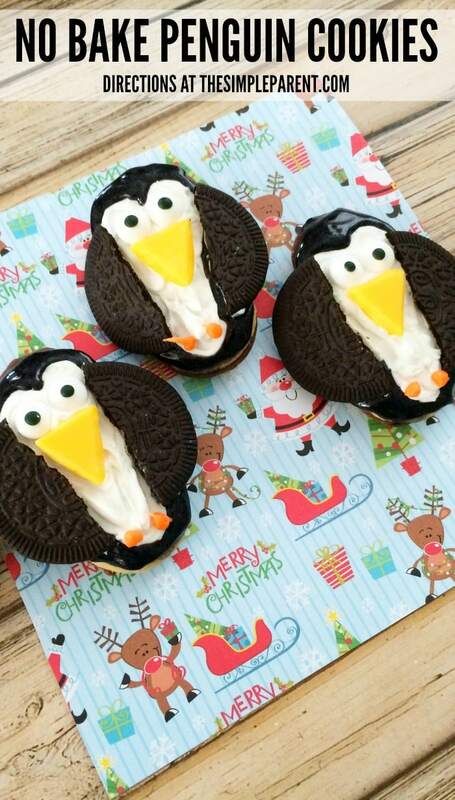 I’ve included some affiliate links for supplies in case you need anything to plan your No Bake Oreo Cookie Penguins! We hope you have as much fun making them as we do! In two different small microwave safe bowls, melt your white and orange candy melts on 50% power for 3-4 minutes, stirring every 30 seconds until melted. Pour each color into two separate decorating bags or sandwich bags and cut the tips off the bags. Cut yellow candy melts into triangles and set aside. Open your Oreos and scrape off the white filling then break each piece in half. Draw a long heart on each Milano cookie with the white melted candy. Using black sparkle gel, fill in around the heart. Press one yellow triangle upside down on the middle of each frosted cookie. Then add candy eyes above the triangle. 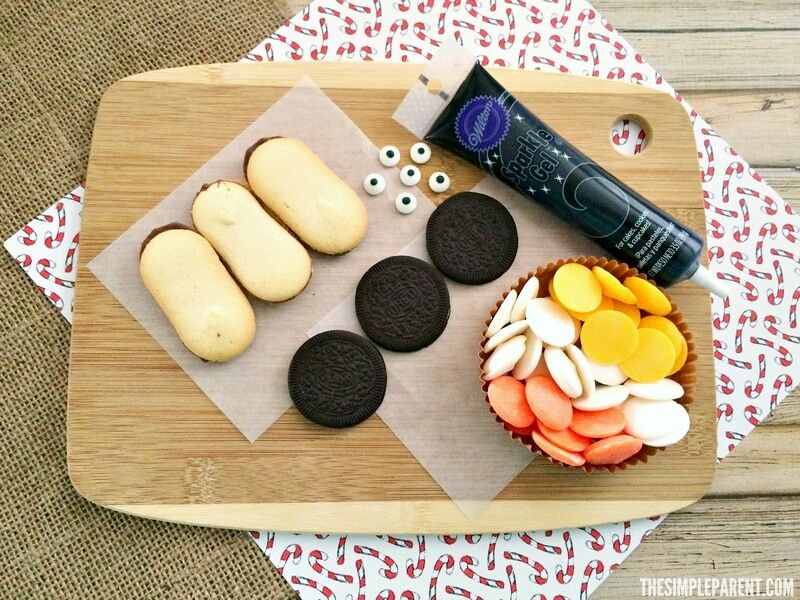 Place the Oreo halves as wings on each side of the frosted cookies. 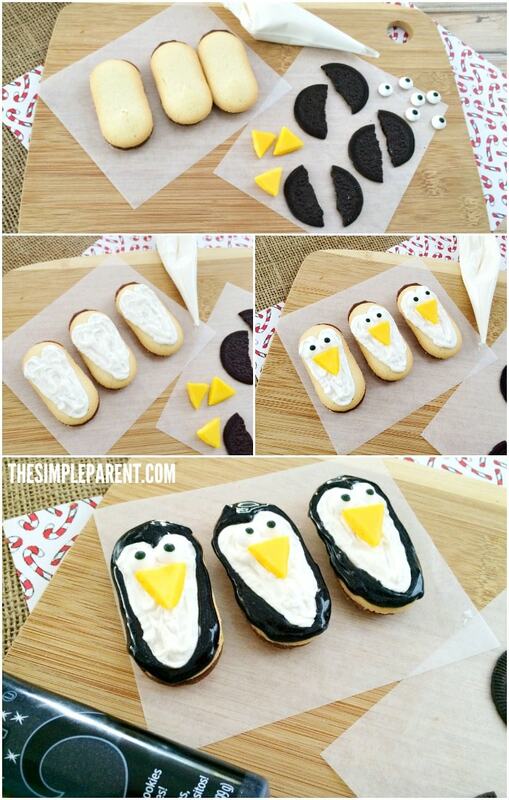 Finish off the Oreo Penguin cookies by frosting orange feet at the bottom of each cookie and enjoy! These are tasty and oh so easy to make! If you’re interested in making more cookies with your kids, be sure to check out our Easy Cookie Ideas! We also have a ton of fun Winter Activity ideas for the whole family too!